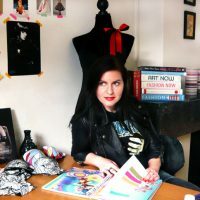 We wanted to introduce our readers to the Lingerie Journal’s newest contributing writer – Laura Lucthman. 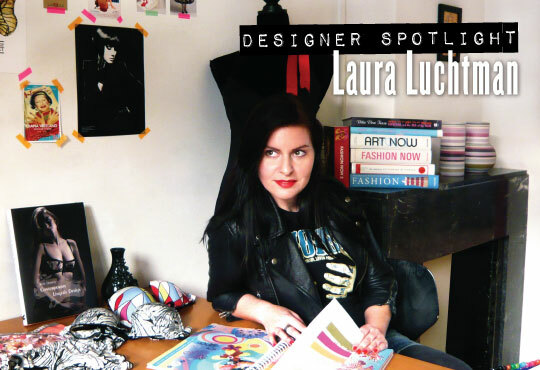 Laura is a multi-faceted designer with a great passion for art, music and all things beautiful. She works in the body fashion industry designing patterns and styling ranges for a number of major Dutch retailers and international clients. She also works on a freelance basis as well. 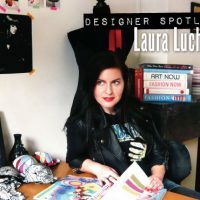 A few months ago, Laura got in touch with me to talk about the possibility of not only showcasing her work, but also sharing her passion about this industry with our readers. 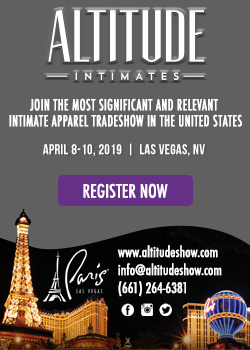 Her first post recapped the latest edition of Salon International de la Lingerie. Now, we want to showcase Laura’s talents and history with our readers with this intimate Q&A. You work as a freelance designer offering services in Illustration, Print & Pattern Design, Styling and Graphic Design. Could you give us some examples of what you do for clients in each of these areas? As a Stylist I do trend research, visit tradefairs, go sample shopping, develop collection and color themes, design collections and make technical drawing for production. 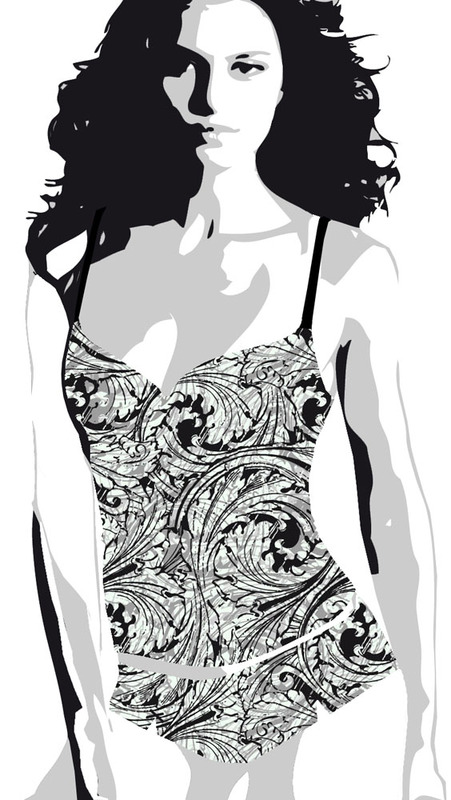 As a Print & Pattern Designer I design textile prints for the fashion industry. My graphic design consists of packaging, labeling, logos and posters. Until recently my illustration art was mainly free work but now I started illustrating for (online) magazines and I’d love to do more of that. Do you find that people/clients have misconceptions about what you do as a designer? For example, any misconceptions about Print and Pattern design? I’m a multi-faceted designer and people don’t always get the cohesion between the different disciplines. A lot of people also seem to think that we produce the collections ourselves, instead of big factories in Asia. It always astounds me how little people know about the origin of the clothes they buy, but luckily awareness is growing. What is the distinguishing characteristic of your designs? One of my teachers at the academy, who is the Head Designer for Viktor & Rolf, described my style as clean & crisp and graphic. And I like to add a little twist. I think that pretty much sums it up. Do you work primarily on a computer? What programs do you use? Yes I primarily work on a computer or I mix media. I mainly use and prefer Adobe Illustrator and Photoshop. And you are also a talented artist. Could you tell us a bit about how you work with more traditional (non-digital) materials? In my illustrations I prefer to use pencil, graphite, charcoal, pen & ink and watercolor. I don’t like to work with any form of paint, I don’t like the texture and I get tired of mixing colors. In my print and pattern work I also use less common materials like sugar, bleach, glue and salt, which react with ink and create all sorts of unexpected effects. Although a computer is a very nifty tool, I feel liberated in a way when I work with non-digital materials. It’s also very soothing to draw by hand. What is the most important thing to consider when designing? When designing for a client or brand, to come up with a fancy as possible design, which fits their and the consumer’s wishes, within the production price range. That’s quite a challenge. Yes, I always listen to music when I’m working, I find Post Rock great music to work to, because it’s mainly instrumental with a lot of classical influences. In a quiet environment my mind tends to wander very easily. Music is a big source of inspiration for me too. I also like to take my laptop to coffee shops for the less creative parts of my work, the noise around me gets me in a deep state of concentration. I’d probably be doing communication and marketing for art galleries or music venues and festivals. I have to surround myself with art and culture. Or be a drummer in a band. 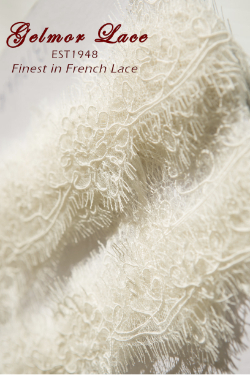 When did you first become interested in clothes and textiles? I always joke around that it all started with the Milton Bradley (MB) game Fashion Wheel when I was little. I never knew what I wanted to become but I always liked drawing, being creative and was interested in any form of design. When I finished Communication Studies I worked for a year but I felt the need to create something. I was contemplating Interior Styling or Fashion Styling. I chose fashion and it was the right choice. Did you always think you were going to be a designer? What lead you to intimates? No, just the opposite really. Until I started studying Fashion Styling I felt I wasn’t talented enough to become any kind of designer. Intimates never really were a conscious choice either. After I graduated I got a job offer as an underwear/lingerie stylist and I never left the intimates industry. I really like it though! And to say you’re a lingerie designer always makes for great conversation at parties and such haha. Describe your latest project? What inspired you for these latest designs? I’m currently working on some illustrations to go with a recurring story in Mimik Magazine. The main character in the story, named Faye, is the inspiration for these illustrations. The illustrations are a bit raw and abstract and the only way I can draw like that is to draw upside down, with my left hand (right is my drawing hand) and with my mouth. This way I leave a whole lot to coincidence, otherwise I tend to style the drawing too much. I’m also designing an underwear collection for SS14 with Aztec prints in bright/neon colors combined with black. You live in Rotterdam, what is it about your city that inspires you? I like the raw character of the city, it reminds me of Berlin in a way. After being bombed in WWII Rotterdam had to rebuild and find a new identity. It’s still developing to this day. The people are down to earth and there’s a lot of room for creative initiatives. And it’s the only city in The Netherlands with a (small) Skyline. 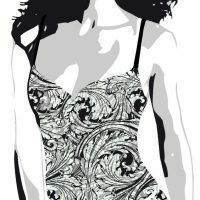 What lingerie designers and/or brands inspire you? 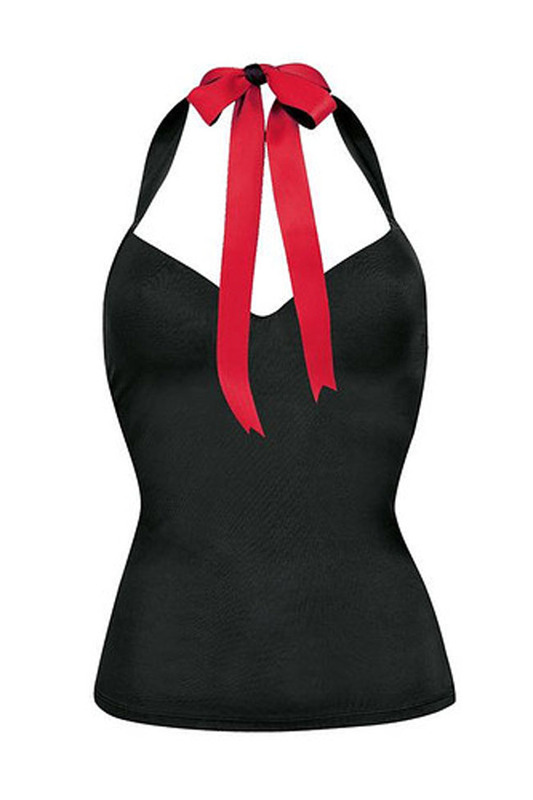 Agent Provocateur, Made by Niki, Der Kommisssar, La Perla, all very lush and couture-like. What other artists and/or designers inspire you? There are too many to name, but fashion designers Haider Ackermann, Anna Sui, Mary Katrantzou, Matthew Williamson, Rick Owens, Alexander McQueen, Azzedine Alaïa, Iris van Herpen and photographer Nick Knight. Besides design, what other passions do you have? How do they affect you as a designer? My other greatest passion is music. In my spare time I’m always attending concerts and festivals. As I mentioned before, music is a big source of inspiration. Song titles, lyrics and album sleeves or just the energy of the music all inspire my work. What is the biggest challenge in being a freelance designer? Time management and creative block. On the business side, what is the biggest business challenge you face as a freelancer? Getting clients to approach you instead of the other way around. I’d rather concentrate on designing than on marketing myself of course. I detest cold acquisition, it’s not my style. That’s why it’s important to establish a network with people who can recommend you and link you to possible clients. Could you tell us a little bit about some of the clients you work and/or have worked with? 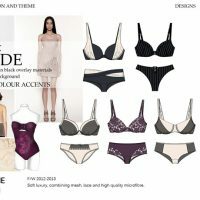 I work for a Private Label company, where I design lingerie, nightwear and underwear for numerous Dutch and European retailers and wholesalers. 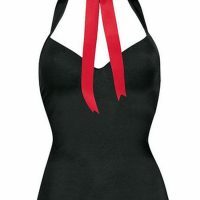 I’ve designed lingerie for brands like Besired, Ann Summers, Livera and Prenatal. Where do you see yourself going in the next five years? Will you launch your own lingerie collection for example? 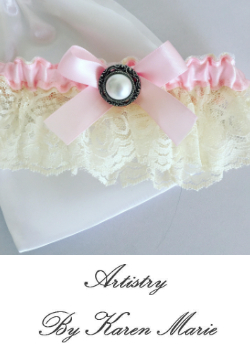 I hope to expand my business and take on more lovely lingerie and print & pattern projects. I’d love to work abroad for a while and have a solo exhibition with my illustrations and perhaps illustrate some music album sleeves. 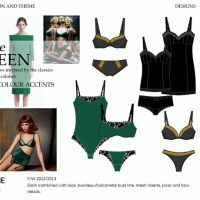 I don’t have the ambition to launch my own lingerie collection but I would like to design a capsule collection for a brand. It’s funny, if you had asked me these questions ten years ago, the answers would’ve been very different. I’m very curious to see what the answers will be ten years from now.